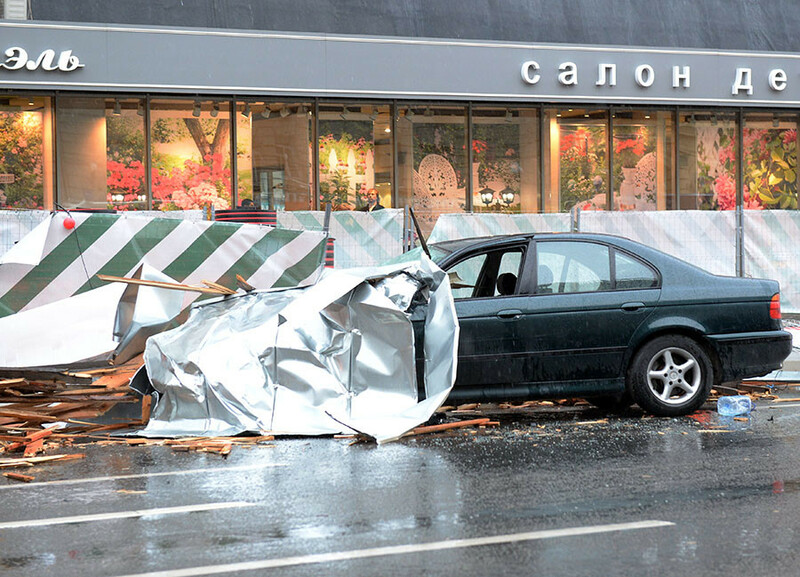 Twelve people were killed and at least 125 injured in Moscow and the Moscow Region, including 17 children, as result of Monday’s storm, according to a report by the All-Russian Center of Disaster Medicine. The storm uprooted trees and tore the roofs off buildings. Earlier, the Moscow Health Department reported that at least 50 people had suffered injuries linked to the storm in Moscow alone. The number of those applying for medical assistance in its aftermath continues to rise, it said. “There are casualties as a result of the storm, more than 40 people applied for medical attention. My condolences to the relatives and loved ones of those who died,” Moscow Mayor Sergey Sobyanin tweeted earlier. The mayor added that the authorities were taking the necessary measures to deal with aftermath of the disaster. 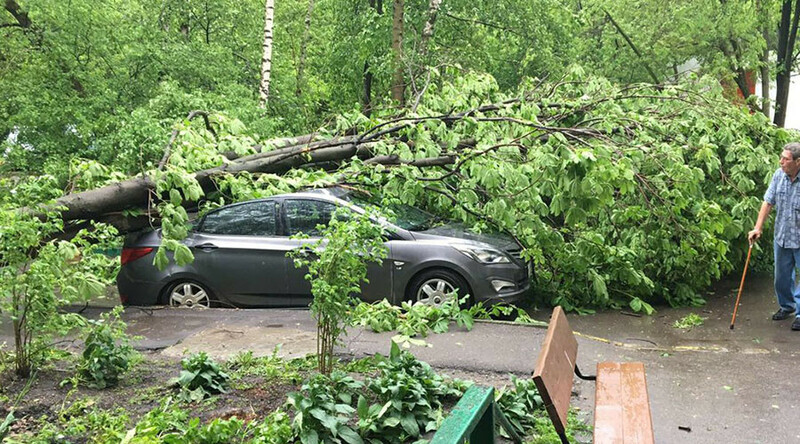 Sources in the emergencies services earlier told TASS that one person had been killed by a falling tree in southwest Moscow. In another incident, a bus stop was torn from the pavement by the strong wind and was blown toward pedestrians, fatally injuring one person. A tree which collapsed on the tracks disrupted the operations of the Moscow Metro on the Filevskaya Line in northwest Moscow, although operations were swiftly restored. Moscow’s Domodedovo and Sheremetyevo airports have cancelled 13 flights and delayed 33 others due to the bad weather. According to air traffic control, the storm did not require any planes arriving at the airports to switch to a reserve airfield, with all aircraft landing routinely in the capital. Earlier, the Emergencies Ministry issued a warning, saying that “heavy rain, thunderstorms, hail, and gusts of wind reaching 17-22 meters per second” were expected in the capital from noon Monday until Tuesday morning. 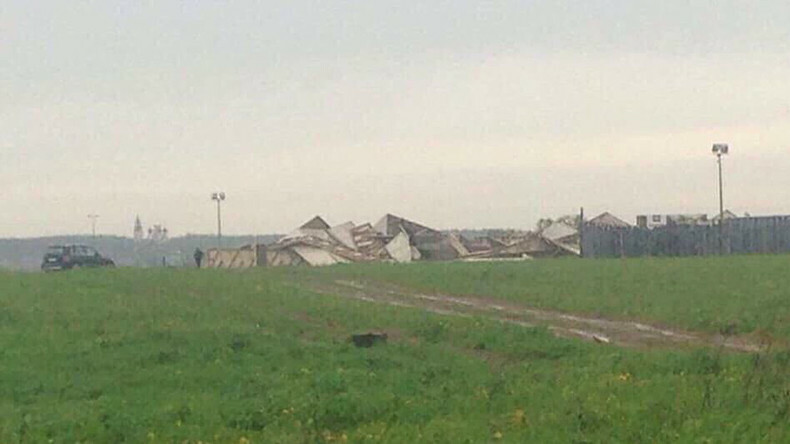 One person was killed by the storm in the town of Krasnogorsk in the Moscow Region, police said. “A metal sheet was torn off by the strong wind, as a result a man was crushed to his death in Krasnogorsk,” the police press service told RIA Novosti. The storm also destroyed a controversial pyramid building, which was erected by engineer Alexander Golod, near a highway to the west of Moscow. According to the author, the 44-meter-tall fiberglass structure was designed to “correct the defects caused by the erratic actions of humans and nature itself,” harmonizing the environment around it. 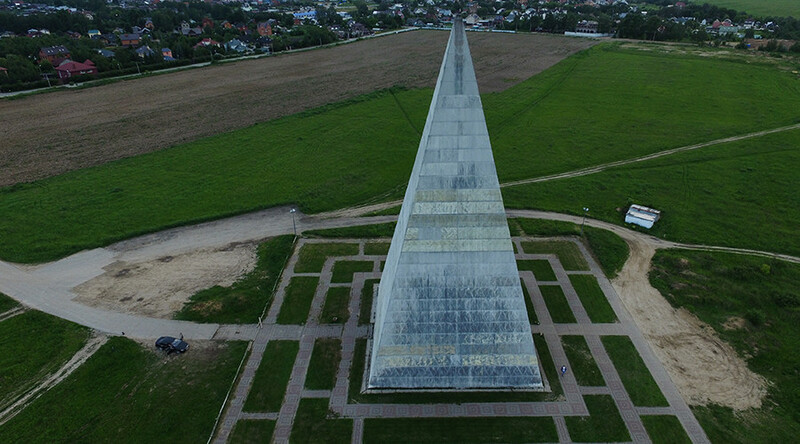 The pyramid became a tourist site in the Moscow Region, despite many objecting to the project. In Moscow Region, a wire breakage caused by the storm left over 18,000 people without electricity in 102 towns and villages, the Energy Ministry said. The operations of suburban trains in the area were halted on several directions due to the weather. 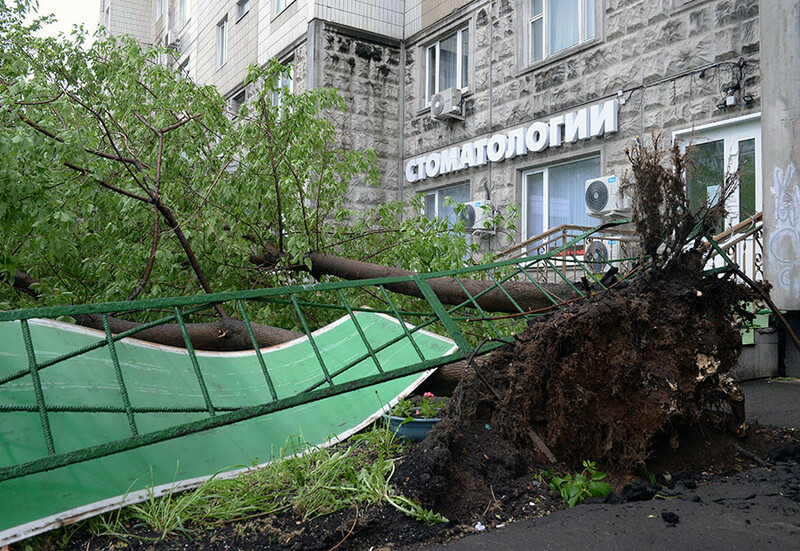 Monday’s storm is one of the deadliest on record in the Russian capital. Nine people died and 165 were injured in the city in a similar disaster in 1998, while at least nine people were killed in a storm in 1904. — ▲АНГЕЛИНА ИВАНОВА▼ (@AaaaCushn) 29 мая 2017 г. — Ника Шульга (@nikochka_21) 29 мая 2017 г.